Can a Christian honestly believe in evolution? Is Christianity and evolution compatible? 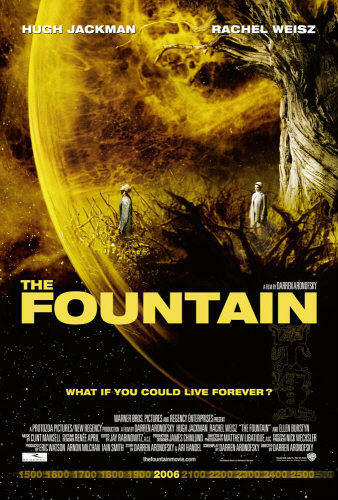 A couple weekends ago my wife and I watched a movie called The Fountain. 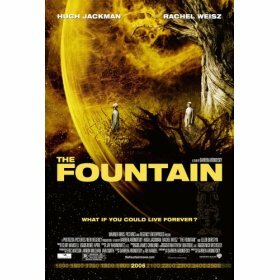 If I had to describe this movie in one word it would be “interesting.” There is no denying that The Fountain is a movie of great intelligence. It was uniquely developed whether you believe it was ahead of its time or just too complicated to be enjoyed. The story consists of three accounts in time making up the past, present, and future. Hugh Jackman plays the main character in each time period. In the past, Jackman plays Tomas, a conquistador in the service of Queen Isabella. In the present, he plays the research oncologist Tommy Creo. In the future, he is an astronaut named Tom. Though they exist in drastically different time periods, each character is connected by a common quest. That quest is the search for immortality and the defeat of death. They have their reasons for such a quest but a recurring factor amongst them all is their love for a woman. And so it is that love drives these men to pursue immortality. Here is where the water gets pretty muddy though. It is hard to tell where the direct intersection between these characters exists. All three time periods revolve around a particular Mayan story of the cycle of life. However, the movie begins by quoting Genesis 3:24 which sets the foundation for this pursuit of immortality. According to legend, the Tree of Life from the time of creation is said to be hidden in the jungles of New Spain or the New World (Americas). If a person drinks of the sap of this tree, he/she shall live forever. So Tomas the conquistador is sent to find this tree, drink of the sap while wearing the ring of the queen in order that they may experience immortality together as the new Adam and Eve. However, the story drifts from a “biblical” basis to the Mayan belief of death and rebirth. According to Maya mythology, when a person dies they enter into Xibalba or the Mayan underworld. In the Mayan underworld the dead live under the Lords of Xibalba where they may be rebirthed to carry out duties on the earth. So any time there is a nebula in the sky, it is a glimpse of Xibalba. One of the glaring issues with this movie is the melding of different religions and worldviews into one “cohesive” story. The movie begins with a biblical text that leads to the story of the Tree of Life (or the pursuit of the Fountain of Youth). The story of creation is then phased into a Mayan legend about the afterlife which contains the cycle of life (Hinduism) and the idea of reincarnation (Buddhism). All of these religions and worldviews combine to make an emotionally compelling story of eternity. In fact Tommy Creo’s wife Izzi, who is dying of cancer, finds a sense of peace and wonder in this belief. The problem is the fact that it is a designer religion at best. It is a combination of many beliefs into a man-made story that fits into a person’s desire of what eternity should be according to that person. Nevermind the competing truth claims of each religion that contradict one another. It is simply a melting pot of the “best” elements of each religion made to fit the desired need of the individual. What is “best” is relative to the particular individual. What is “best” for one person may not be “best” for another. This approach to religion and worldview destroys the meaning of life. How can it be determined when all things can be mixed and matched to fit each individual person and their needs? And who is to say that one particular view is right or wrong or better than the others? There can be no means of evaluating such claims thus truth loses all meaning and so does life. All in all I think this movie is very thought provoking and a great source of discussion across many lines. 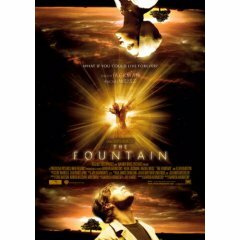 Though I firmly disagree with the worldview and designer spirituality presented in the movie, I would recommend this movie to small groups for critical discussion. It can also be a great starting point for an engaging spiritual conversation with a non-believer. Are You Ready for Artificial Life? A small group of scientists scattered across the globe are predicting a breakthrough of monumental proportions in the next three to ten years. What is all the fuss about? Their claim is that artificial life is just around the corner. That’s right, human life created by the hands of scientists. ProtoLife reports the creation of artificial membranes for synthetic cells. Mark Bedau, chief operating officer for ProtoLife, says, “It’s going to be a big deal and everybody’s going to know about it. We’re talking about a technology that could change our world in pretty fundamental ways — in fact, in ways that are impossible to predict.” There is no doubt as to the major impact this “breakthrough” will have on our world. However, there seems to be a lack of concern for the consequences of creating artificial life. It certainly raises many moral questions as well. Is an artificial lifeform considered human? Does it receive all of the rights of humanity such as the right to life? Or can it be used as a lab rat or resource for harvesting body parts to heal the sick? From a Christian worldview, the field of “wet artificial life” seems to be an attempt to not only play God but to replace Him as well. As Bedau says, “Creating protocells has the potential to shed new life on our place in the universe. This will remove one of the few fundamental mysteries about creation in the universe and our role.” There are many men in the sciences, such as Richard Dawkins and Peter Atkins, who would delight in any field that helped them eliminate the notion of God. If men can create human life from scratch, what need is there for a “celestial dictator?” As a Christian I am concerned by this endeavor not because it disproves God in any way but for the potential corruption of such technology and the unknown consequences it may yield. All man’s attempts at playing God and being God thus far have failed miserably. Why? To the core of our being we are flawed and sinful human beings. God is perfect and we are not. He is the Creator and we are the created. Though many scientists would debate this last point, I reference Alister McGrath in saying that Christianity makes the most sense of what I see in the world around me. It is possible that we may see the lines of morality stretched by this endeavor under the guise of advancement, preservation, and human evolution. Who defines what is moral to an atheist or unbelieving scientist? If morality is determined by each individual based on his or her preference within a postmodern world, then what keeps scientists from trying to create a “perfect” or flawless line of human beings? And if such human beings can be conceived ideally, will that effect the value of “imperfect” human life? We are already seeing the effects of such lines of thought in assisted suicides and abortions based on predicted birth defects. Again, a major concern in this discussion is the fact that scientists cannot predict the effect that such a “creation” may have on our world. Many people also neglect the factor of man’s naturally wicked heart that yearns to twist even the best creations into deceitful or evil tools for obtaining fame, fortune, or power. So, are you ready for artificial life? Be afraid, be very afraid.